4. pour into silicone moulds, then pop in the freezer for 1 hour or so. I find coconut oil very rich, so although these are a little addictive, try to only eat 1-2 at a time. 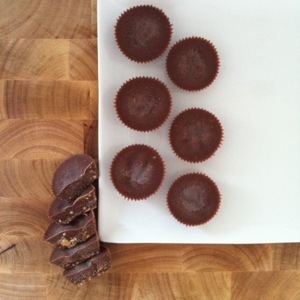 This entry was posted in Recipe and tagged chocolate, dairyfree, glutenfree, rawvegan, sugarfree, vegan by 6 Clean Ingredients. Bookmark the permalink.